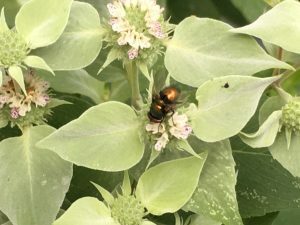 This is one of my summer flowering favorites that brings a mountain of pollinators and beneficial insects to your garden… This plant spreads at a slow rate unlike other mints, so don’t be afraid that it will take over your garden. 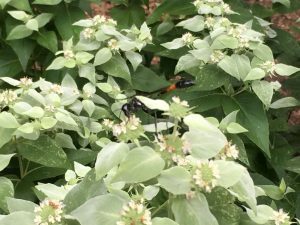 This gem gets about 30” tall and supports itself nicely sporting silvery green leaves and tiny pink flowers. Full sun is desired but will tolerate partial shade, though I haven’t tried planting it in full shade yet. 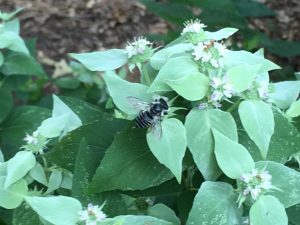 When in bloom, this mountain mint delivers a nice aroma and is a MAGNET for butterflies, beneficial wasps and flies and of course bees. 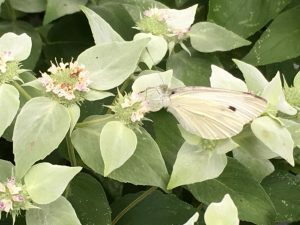 No garden is complete without a little bit of mountain mint. 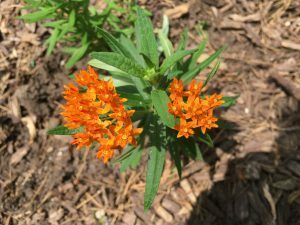 While walking in my own garden today, I noticed my milkweed was in bloom, both the orange butterfly weed and the pink swamp milkweed. 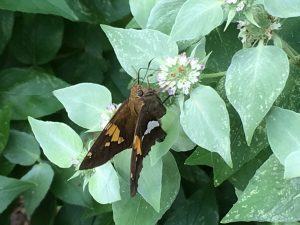 Milkweed is the primary nectar source for the glorious Monarch Butterfly. 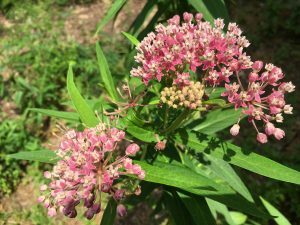 Milkweed is another essential plant for every garden. 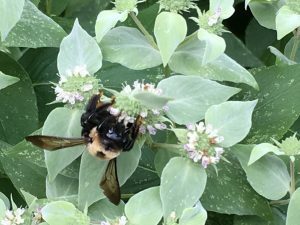 If you are interested in adding any of these plants to your garden, feel free to reach out to KW and we will get them planted in your landscape.